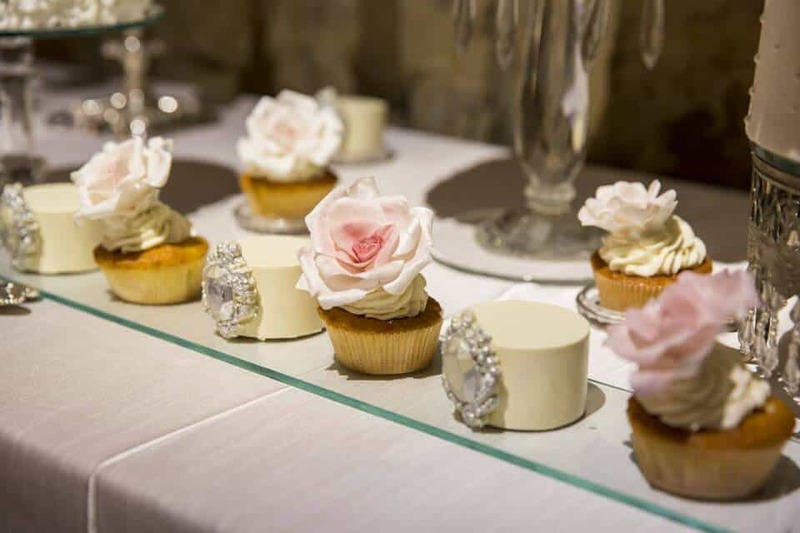 From our delicious cake flavors and fillings, to the size of cake you will need to serve your guests – along with pricing ranges and frequently asked questions – you will find of that information here. 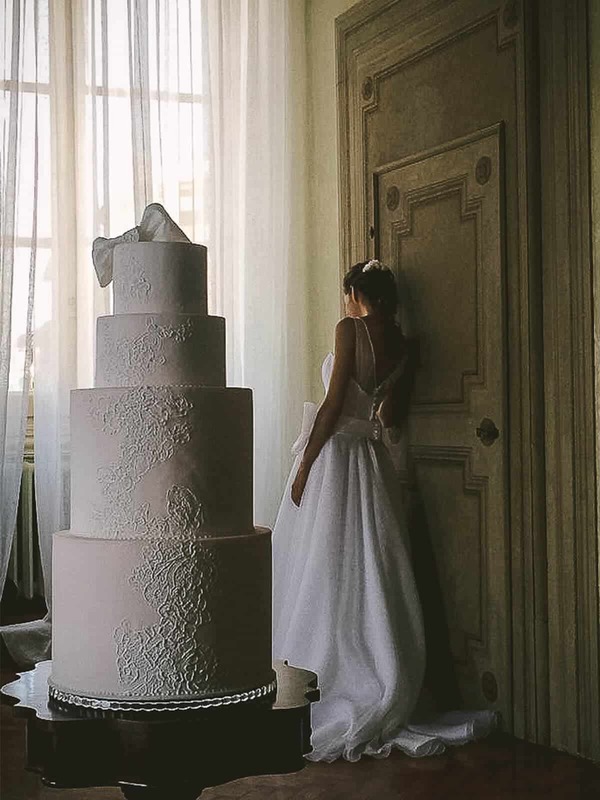 One of the things I personally love about the wedding cake moment – is how it refocuses the guests’ attention back onto the bride and groom after the dinner. It’s a chance to remind everyone of why they’ve gathered together and get them looking in one direction again before kicking off the party. So the question is, how big should that cake be? In part for the photo, and in part for the guests’ experience? And that’s a little complicated. How many guests are you having? What is the rest of the wedding like? 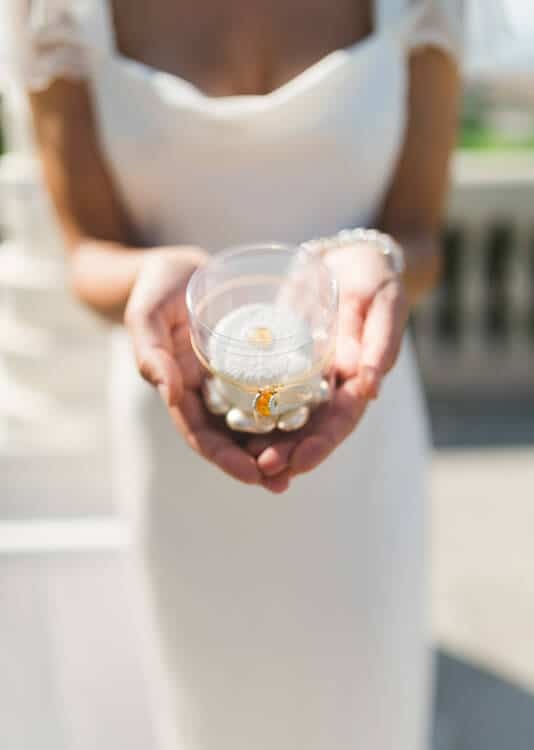 What’s going to make an impact and flow with your other wedding details? We help guide you through that. To start with, I’ve put together a visual chart for you to get a general idea of serving sizes and tier sizes. My normal size tier height is 12.5 cm or 5 inches. So asymmetrical 3 tier cake would be about 37.5 or 15 inches tall. (Or 50 cm – 20 inches on a cake stand). 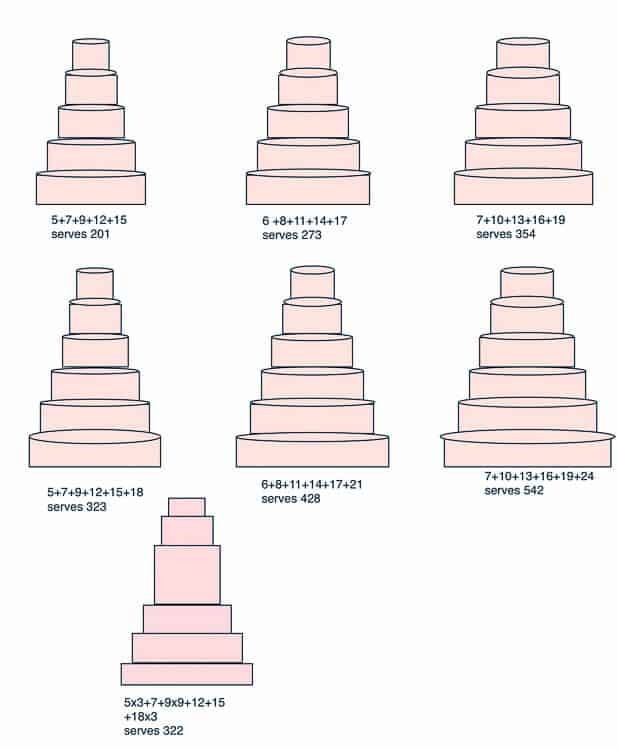 However, I like to play a lot with different cake tier heights in my designs. 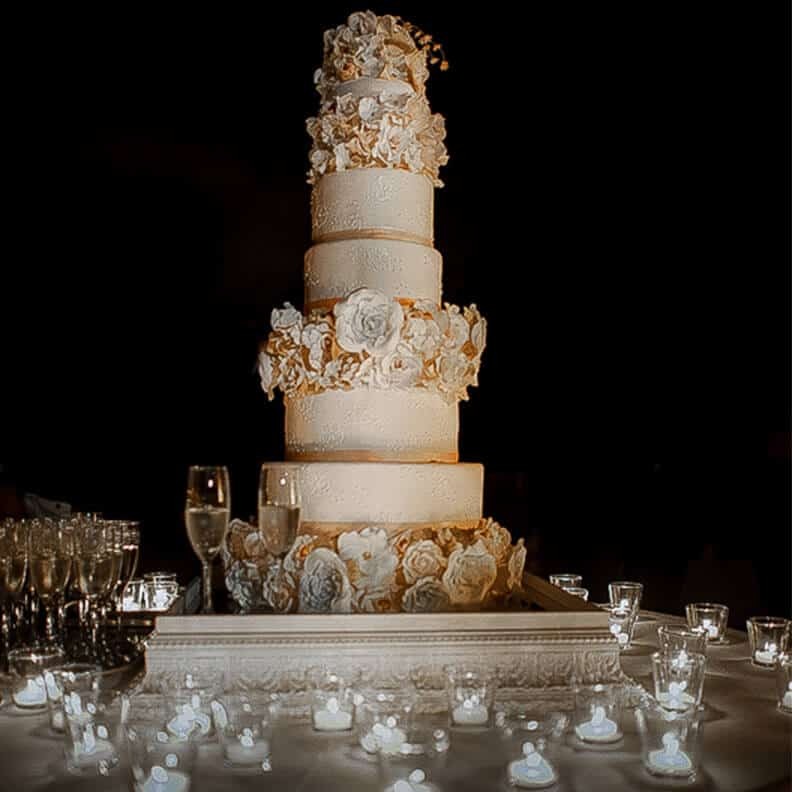 The bigger question isn’t how much cake you need to serve your guests, but what size the cake should be for your event. Are you in a big open space – for that we might want a bigger cake, to make make a grand impression. 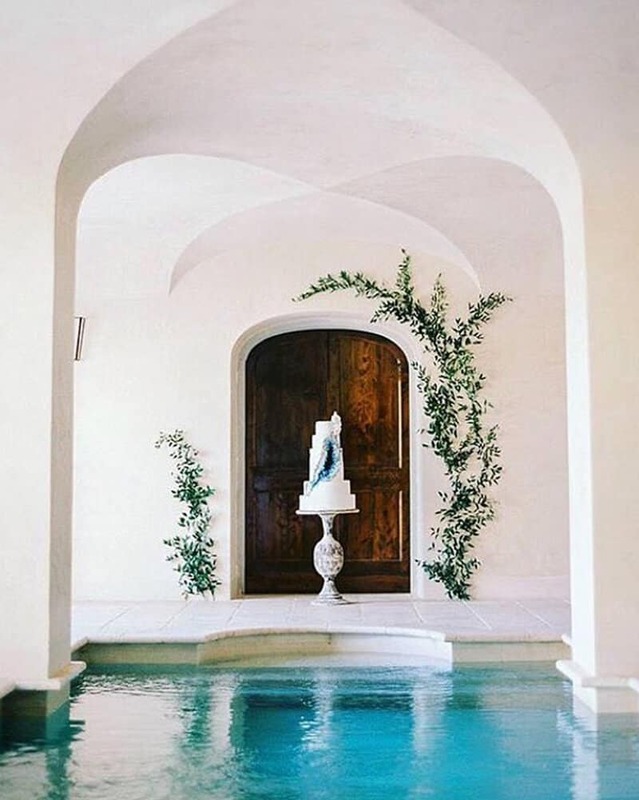 Or a small wine cellar – definitely a smaller cake, for a more intimate experience. 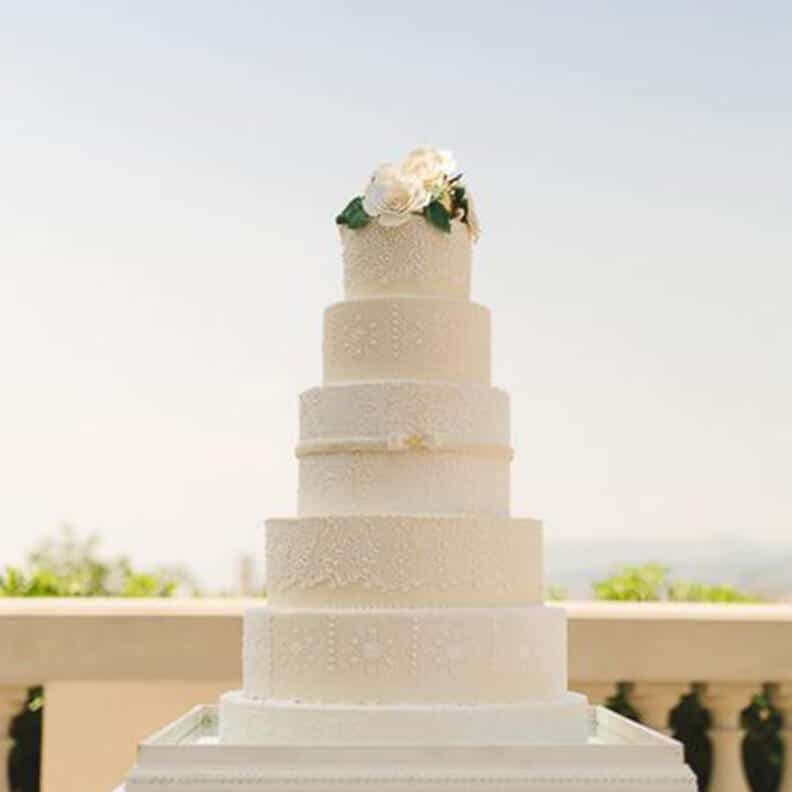 The perfect wedding cake at a Tuscan farmhouse, might not make the same impression at a grand Villa (and vise versa). Even if both weddings have the same number of guest. The goal is always to create you the perfect cake for the perfect moment. And we’ll work together to figure out what that is. I always like to have real cake, because there’s a magic at the moment when a couple cuts the cake and all of the senses are engaged. But, if you’d like a bigger cake, for a bigger impression, and have a smaller number of guests I can create faux tiers to match your real tiers. That depends a lot on your wedding. How many people are there? What’s the setting? The style? I design to make YOU the perfect cake. And to do that I need to know a little bit about you. My designs start at €1000. And prices are based on the amount of time and skill your cake will take. For couples planning, think about 3% of your event night budget being a good place to start. 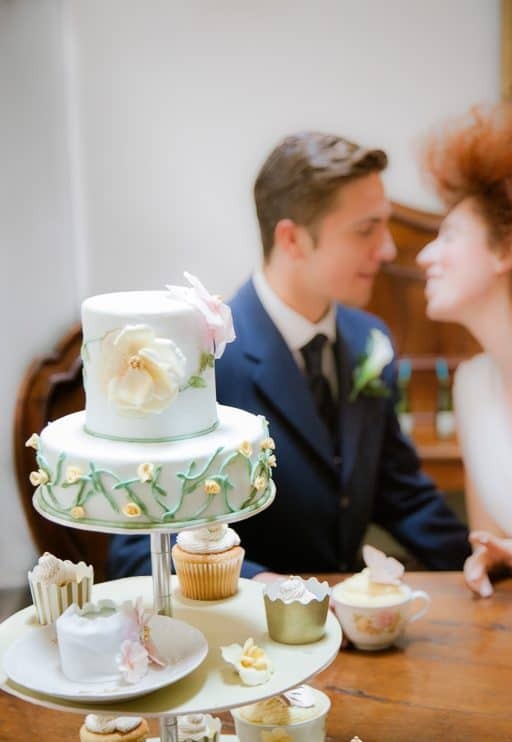 Or take a look in our galleries, which have cakes sorted by budget. HOW BIG WILL MY CAKE BE? That depends. How big do you want it to be? How many guests are you having? What is the rest of the wedding like? 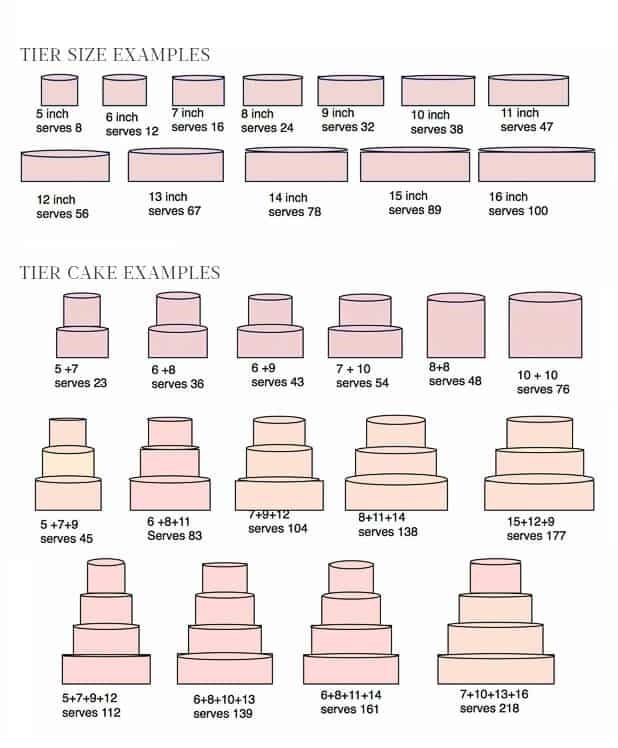 I’ve created a handy little chart to give you an idea of how many portions different cake sizes serve. If you’d like a bigger cake, for a bigger impression, but have a smaller number of guests I can create faux tiers to match your real tiers. HOW DO WE DESIGN THE CAKE? We do this together. Based on your wedding, and you. We talk a little. I look at what your wedding is going to be like. And then together we design an amazing wedding cake. In order to be able to give every cake my full personal attention to detail, I only take 1 to 4 cakes per a week. Yes. A tasting is offered at no charge to confirmed clients who have reserved their day with a save the date. We are happy to offer tastings at €50.00 in advance for couples who are trying obtains. The tasting will be subtracted from the cake balance should they choose to book. Clients can schedule a tasting and design appointment in my Florence laboratory. 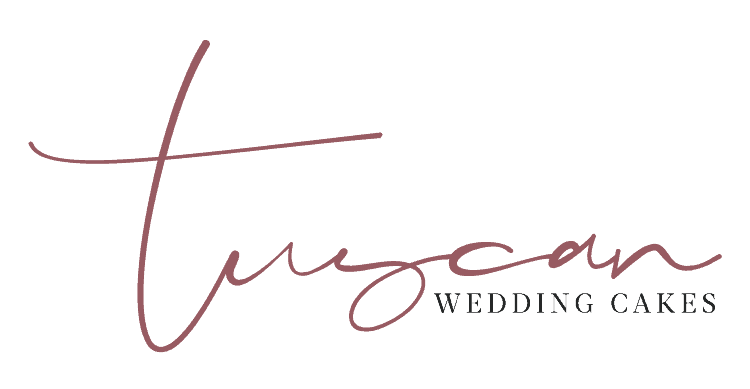 Usually, I will have 5 to 7 flavors from the Tuscan Weddings Cakes menu to try. And at that appointment will work on our design together. WHAT FLAVORS CAN WE HAVE? A lot of times people fall in love with one of the flavors on the menu. But, if there’s a flavor you really want, let me know. If I can get a good ingredient for the flavor you want, I will. HOW MANY FLAVORS CAN WE HAVE? I strongly recommend one, unless you have enough cake for everyone to have both. Couples used to come to me and ask for 5 flavors for a 5 tier cake. And I would happily do it. But on the night of the wedding, instead of all of the guests talking about how great their cake was, they were talking about the flavor they didn’t get. No matter what flavor they got. It’s human nature to worry that someone got something you didn’t. Since we want to create a memory and use the cake to bring everyone together, I suggest one flavor. 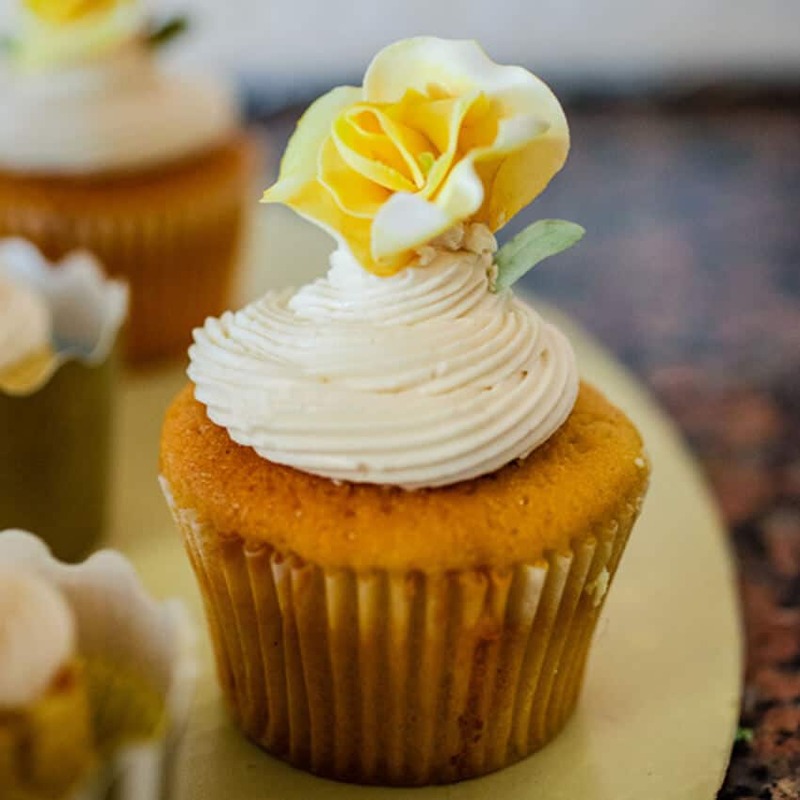 If you really can’t choose between flavors, mini-cakes in another flavor for the guests to take away as gifts are a great option. Although heat is an issue. I deliver buttercream cakes cold. But the melting temperature of butter is 24°C. And less in the sunlight. I suggest either they’re served immediately or late night set-ups to a cool spot. DO YOU OFFER GLUTEN/LACTOSE FREE CAKES? 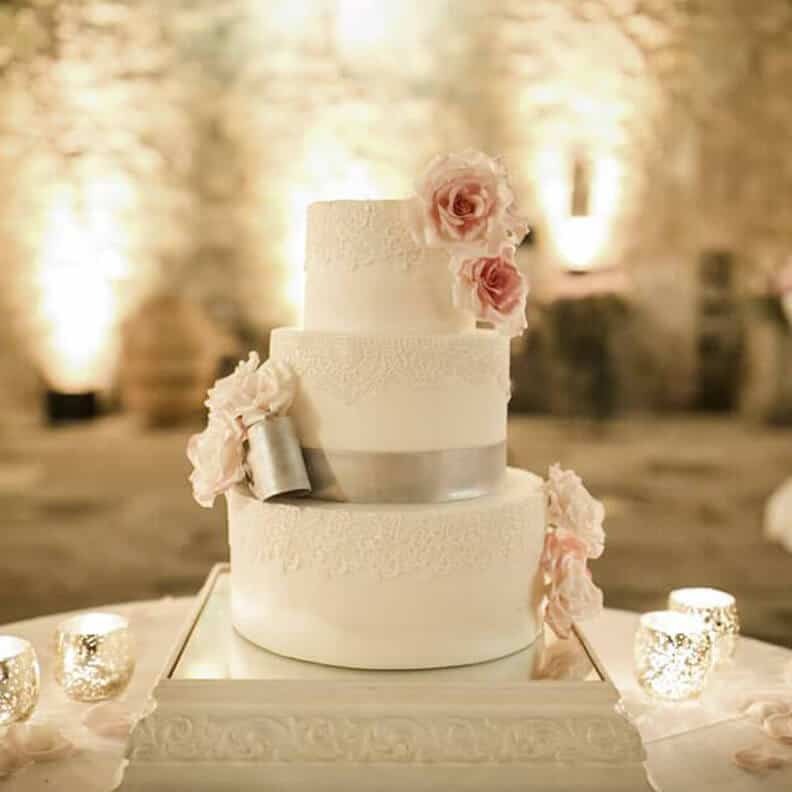 Gluten-free cakes can be made for the top two tiers of your wedding cake. They are not as sturdy as normal cake, so I don’t like to use them on the bottom tiers. All of our flavors can be done lactose-free with the mousses and creams removed. I do use buttercream on the outside of the cakes, but the insides can be dairy free. CAN WE PUT FRESH FLOWERS ON OUR CAKE? I know they save a lot of money. And I love flowers! Love them! I will work with florists to put fresh flowers on your cake – but strongly prefer sugar flowers. First, they are unsanitary. Unless they were specifically grown for food, they are covered in pesticides. They spend their time in buckets of dirty water. Because they’re grown in the dirt. Which is not made of sand. Think about that. And then we want to stick them in your food. Think about that. And I work with amazing florists. This is not a quality of the florist issue. This is a plant not being grown for food issue. 2) Many of them are toxic. For example, Ortensia a beautiful wedding flower, when ingested causes severe nausea and diarrhea. Not the memory we’re going for. 3) They usually don’t look right on cake. There’s something about the material of cake and the material of fresh flowers that often seems off. The exception to this is naked and buttercream cakes. Which if the flowers are right for the cake, can look great. But then, you want a florist who will provide food safe flowers and will stay and work side-by-side with me to make sure the arrangement is perfect. The side-by-side thing is really important, which the best florist always do. Otherwise, what often happens is I am left with C quality flowers – the browny, not right leftovers that they didn’t want to use in the centerpieces. Because the centerpieces are photographed as their work. The cake is not. Or sometimes no flowers at all, where the main design element was fresh flowers. And once ant infested flowers. HOW DO YOU DELIVER THE CAKE? Carefully and personally. Italian roads aren’t known for being super straight and flat. Either Paolo or I travel with each cake. And we bring a kit, that includes everything that was used to make the cake, just in case. WHEN SHOULD MY CAKE BE DELIVERED? For most cakes, about an hour before it’s scheduled to be served. That will make sure it’s not sitting in the heat for a long time (melting). And gives me time to set it up perfectly. I try to schedule most summer deliveries between 8 PM and 11 PM, depending on the wedding and the heat. Some cakes need a little more time for set-up and some a little less. But that is something I look at when we do the design. CAN WE HAVE THE CAKE SIT OUT ALL DAY? My cakes taste like magic, but they are not magic cake. The melting temperature of butter is 24°C. And the cakes are full of lots of wonderful fresh real ingredients like cream. Two hours in the evening, out of the sunlight is usually fine. If you put the cake in the sunlight or heat it will melt. Most venues are not air-conditioned. If you’d like a cake that can sit out all day, I’d suggest we create a heat-safe cutting tier and a faux cake. With real cake in the kitchen, cool, to be served once you cut the cake. Because I’m not really trying to make you a cake. I’m trying to make you a memory. A cake that’s MORE then you’ve been dreaming of. But you will dream about, after your wedding. That your guests will dream about. The cake that every other cake, will be chasing.